New Year’s resolutions run the gamut from losing weight to career goals to getting more organized at home. The New Year is the perfect time for a new kitchen. If your plans for the New Year include a kitchen remodel, the time for planning is now. Starting with a clear plan for the project can help you get the most from your investment. The average homeowner spends more on kitchen remodeling than other home improvement projects. Fortunately, most of the cost of a remodel can be recouped in an increase in property value, which is great if you plan to sell the home in the next few years. The first step in planning your project is to set a realistic budget and create a plan for the job. The time you spend planning your remodeling project will make the construction process easier. Start by considering the current layout of your kitchen. Keeping the same layout for the kitchen will help control costs. Moving plumbing or electrical wiring can quickly increase the cost of the project. However, if you are unhappy with the current layout, the expense of making this change may be well worth it. Consider the overall design style and color palette you want for your kitchen. Do you like the traditional or modern design? Would you like to bring more color into the room or do you prefer neutral shades? If your home has an open floor plan, you want to consider the style and color scheme of the adjacent rooms to ensure that your new kitchen flows with the rest of the home. When selecting cabinets, there is more to consider than just color and style. Although the style of the cabinets is important to the overall design of the room, the function is also important. Features like pull out shelves and specialty cabinets to hold various items, such as large pans, garbage pails, and Lazy Susan’s can make working in the kitchen easier. A remodel is the perfect time to make these choices. 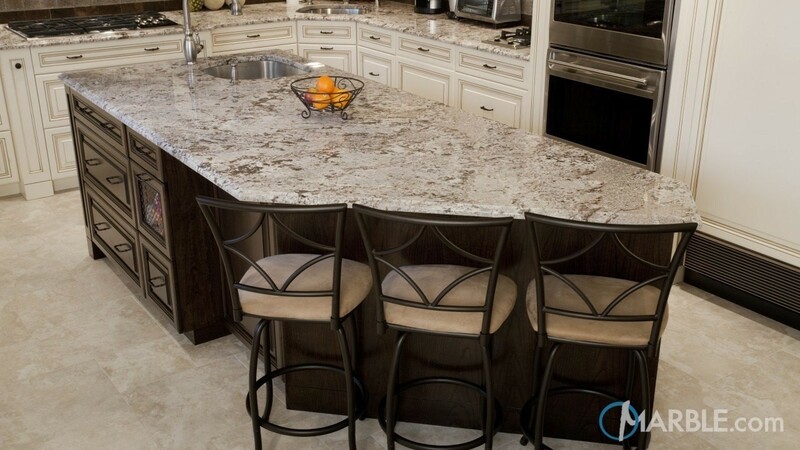 The natural stone industry offers many countertop options, such as quartzite, marble, and granite countertops. Marble is elegant, but it is a softer stone. This can present challenges, especially in high traffic kitchens, due to the risk of damage to the marble. Granite is stain resistant when sealed, the color doesn’t fade, hot pots and pans won’t damage the surface, and the nonporous surface is more sanitary than more porous types of stone. There are hundreds of granite countertop colors available, so it is easy to find a color that will fit with the rest of the room. 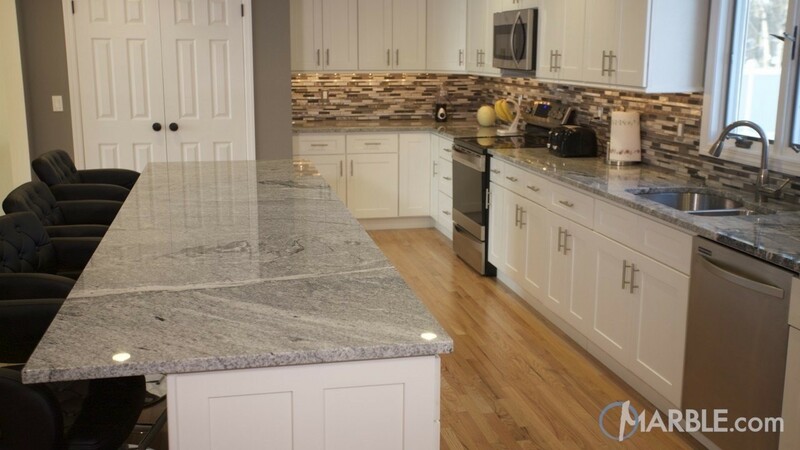 If you prefer a light granite, there are many options and granite colors to consider. Bianco Antico granite is an elegant white granite from Brazil with grey quartz deposits that has hints of burgundy garnet and black mica. Viscont White granite is an Indian grey granite with a consistent speckling of black and white. Ivory Fantasy granite has tan, grey, and blue swirling patterns throughout the stone with dark grey and black specks. We at SlabMarket provide access to the best slabs in the natural stone industry. If you own a slab yard, you can build your container with a variety of colors and types of natural stone. Make sure to stock your inventory with a wide variety of dark and light granite and marble stone colors and options that will ensure all your customers will be happy with their new installed stone. Add a few slabs to your container, such as Bianco Antico granite, Viscont White granite, Ivory Fantasy granite, UbaTuba granite, and Silver Pearl granite to offer a range of options. Planning a remodeling project is an exciting process and a well thought out plan will make the entire process more pleasant. Get your New Year off to a great start by making decisions about the layout of the room, interior design style, and choose your cabinets, countertops, flooring, lighting, and other features before getting started to reduce stress during the construction process.